Thomas Fortier, whose theft trial ended in a deadlocked jury, must complete 100 hours of community service and not commit new crimes for eight months before the charges are ultimately dismissed. 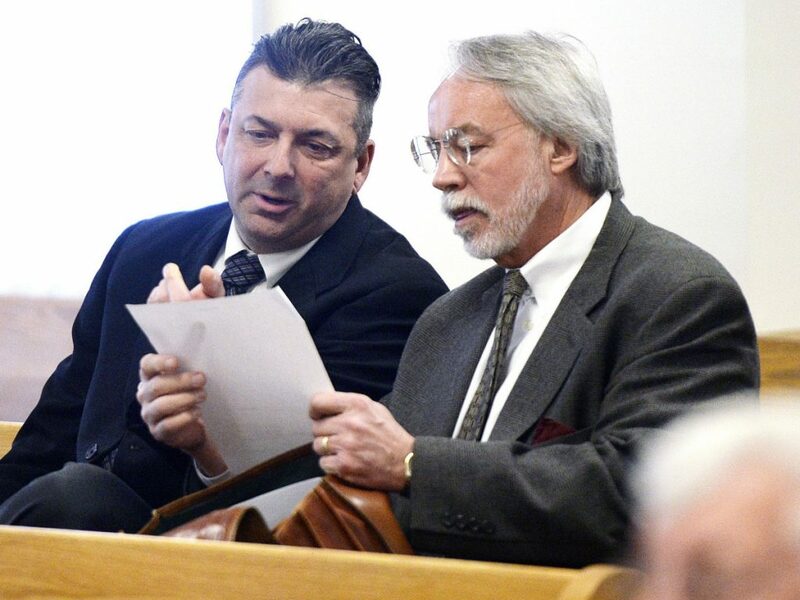 The former town manager of Ogunquit, who was charged in an alleged corruption scheme, will have his case dismissed if he stays out of trouble for eight months and completes 100 hours of community service, according to court records. Thomas Fortier went on trial in November 2017, charged with one count of theft and one count of official suppression, for allegedly using teenage town workers who also played on Fortier’s baseball team to steal $400 in parking fees collected during the town’s 2016 Fourth of July celebration that should have gone to town coffers. Fortier denied the allegations, and a York County jury could not reach a verdict in the case, resulting in a mistrial. The agreement between Fortier and prosecutors, dated June 27, ends speculation about whether the York County District Attorney’s Office would re-try the case. The terms of the agreement require Fortier to refrain from any new criminal conduct in Maine or anywhere else in the United States until the end of April 2019. Fortier must also complete 100 hours of community service within that time, and provide proof of the completion of those hours to the York County District Attorney’s Office. Neither Fortier nor his attorney, Bruce Merrill of Portland, could be reached for comment. Merrill did not return a message left at his office, and a number listed for Fortier at his Falmouth home was disconnected. But after the mistrial, Fortier was emotional during brief remarks to the media. 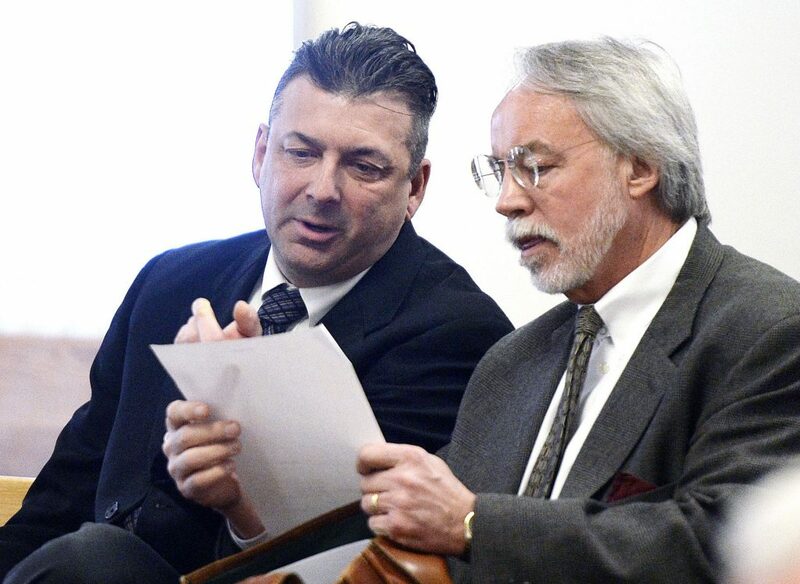 The investigation, charges and turmoil caused by the case roiled Ogunquit for months as town officials wrestled with whether Fortier should stay or be fired. The town’s Select Board voted in February 2017 to approve a separation agreement that resulted in Fortier’s resignation. In exchange, he was paid at least four months worth of his $125,000 salary. The agreement also included language that released the town from any legal claims that Fortier could bring against it in the future. The trial hinged on whether the jury believed testimony by teenage witnesses who were employed by the town, or whether they believed the investigation of Fortier was politically motivated. According to the state, Fortier took responsibility for managing the lower-lot parking area near the beach in Ogunquit on July 4, 2016, for about one hour in the evening and directed the teenage employees, Cody Cousins, now 19, and his 17-year-old brother to accept payment for parking there. But Fortier’s attorney, Bruce Merrill, theorized that the investigation and prosecution of Fortier were politically motivated. Between when the alleged crime occurred and early August 2016 when Fortier was summonsed, Merrill said, Fortier relayed a message to the Ogunquit police chief that the town’s Select Board wanted her to retire. The chief refused, and the investigation of Fortier began soon after, Merrill said.